The Academic. The Artist. The Man. Renaissance man, a polyhistor – a common description of a person who has achieved a great level of expertise in all of the interdisciplinary interests they pursue. Perhaps the most famous and greatest polyhistor of all times was Leonardo da Vinci. The outstanding Italian devoted his life to painting, engineering, anatomic studies and other fields of science, achieving excellence in each. However, it would be a mistake to think that such universal masters lived only in ancient times. Admittedly, Renaissance people don’t come to the world very often, but fortunately they do not belong to the past. Monday the 13th of March 2017 was the day many were waiting for. 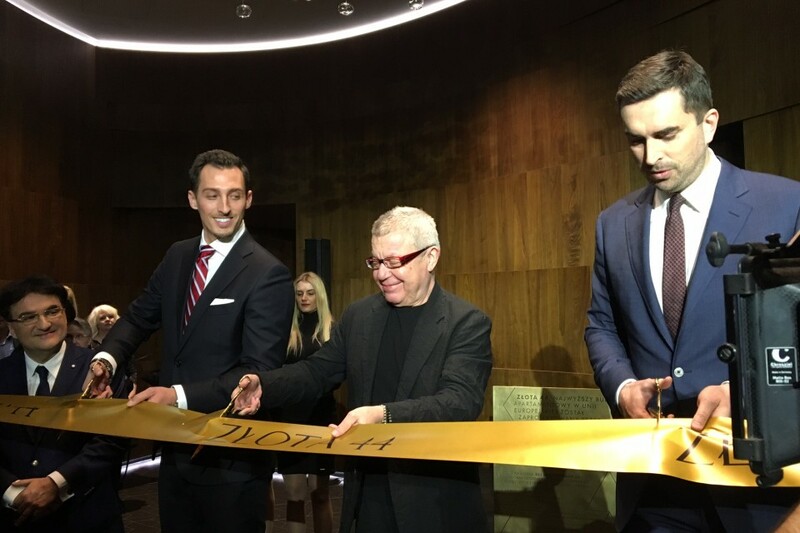 On that day the grand opening of ZŁOTA 44 took place – the highest residential building in Europe and one of the most characteristic works of Daniel Libeskind. 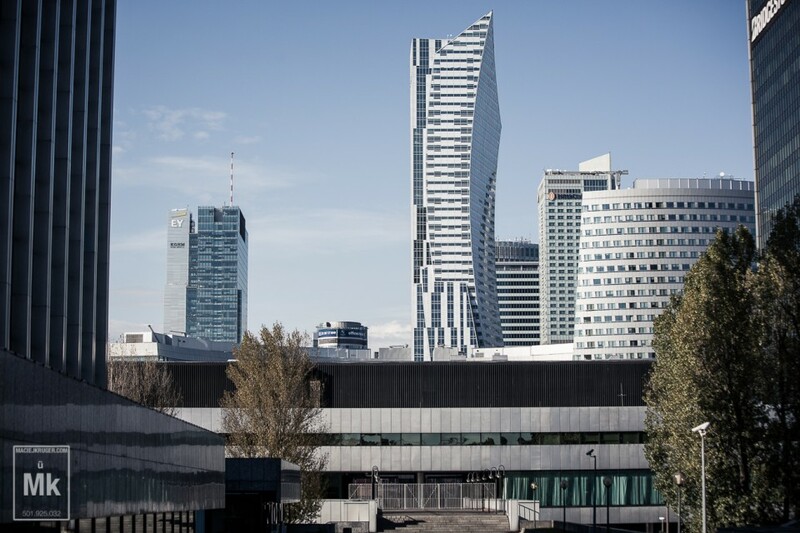 The building has been towering over the center of Warsaw for some time already with its unconventional shape that can be admired by everybody commuting through the city every day. Even though the technological progress makes it possible to create architectural plans by means of a myriad of applications, architects still tend to start their work with hand-made drawings. The drawings are not merely tools, soulless technical drafts, products of a scientific mind, a cold action plan that is but a seed of subsequent creation. They in fact fulfil all the criteria to be deemed an art they really are. The play with perspective, the interplay of light and dark, painterly quality, minimalism or flamboyance, firm or delicate strokes, colours or lack of colour – this is all fascinating as an artistic composition. 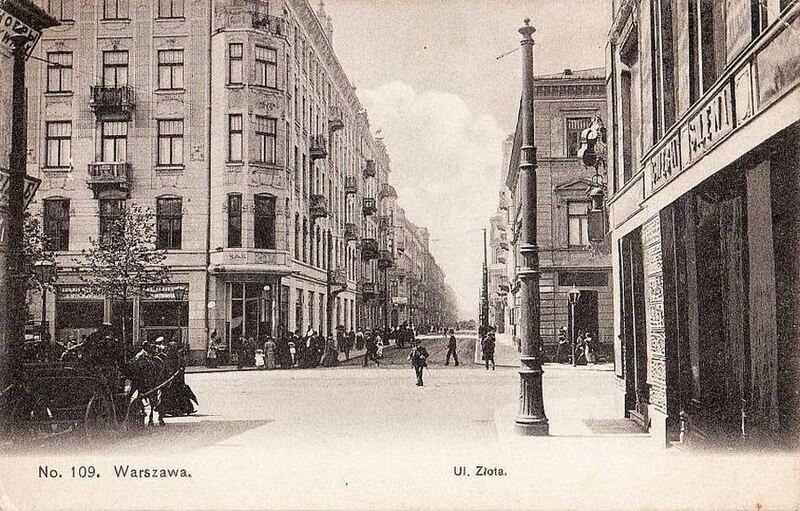 From its very outset, Złota street, or, appropriately Gold street in English, attracted attention with its unequalled appearance and atmosphere. 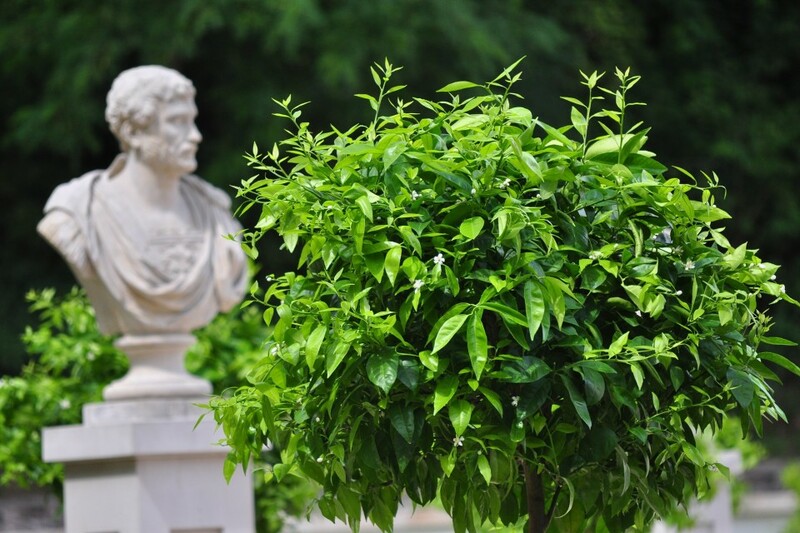 Let us take a short trip through the history of this extraordinary locality. 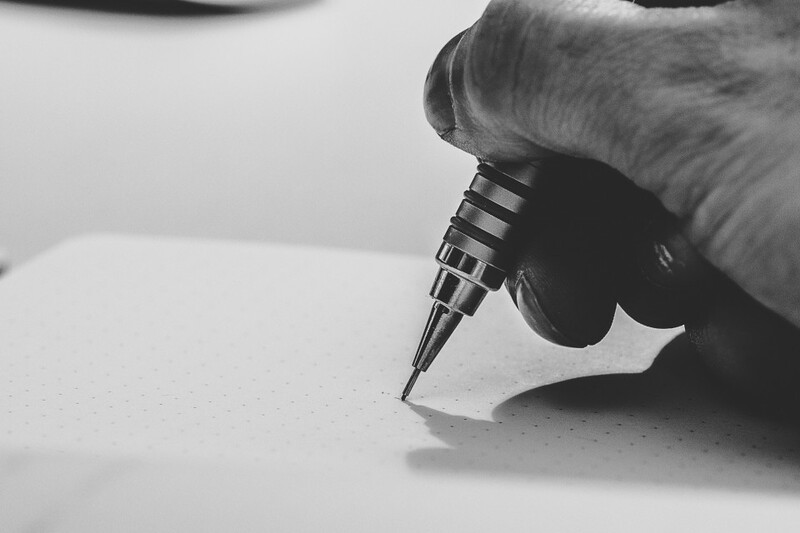 The beginning of the year is usually the time when we look back and summarise the past twelve months, and – typically – firmly promise improvement. At ZŁOTA 44 we do not really have to promise improvement as 2016 was the year we could be truly proud of. This was a special year when we began to reap fruit of our intensive efforts. We are very excited looking into 2017 as it is over the upcoming months that we expect to attain our objectives. Work, corporate meetings and business travel are not all there is to life – all those who want to live a well-balanced life should not shy away from rest and should not forget to take care of their health. 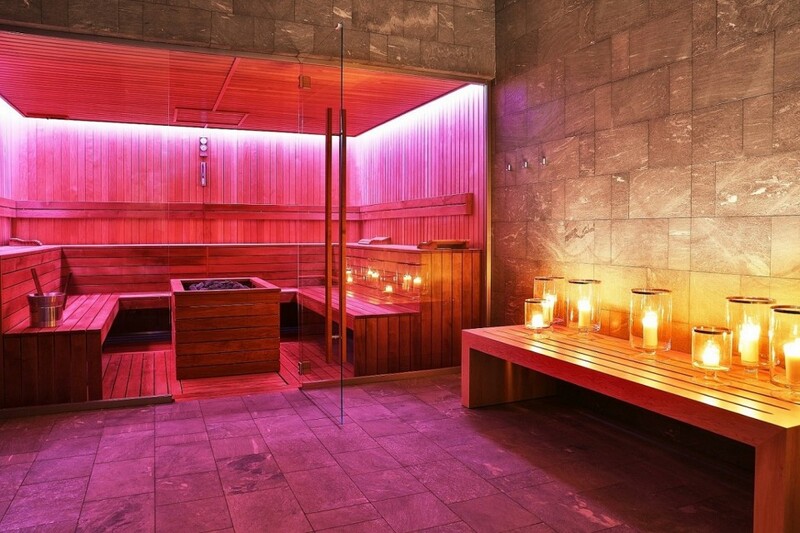 Fortunately, one of humanity’s amazing inventions, the sauna, has been around for centuries. It helps you relax and stay healthy. At ZŁOTA 44 we embrace a philosophy of wellness, therefore advanced, well-appointed and comfortable saunas can be found not only in the spa areas, but also on our 8th floor. New Year is a rite of passage, a sacred sphere into which we delve to find ourselves in a new reality that is yet to be filled with experiences. Even though the ideas of how to celebrate the New Year have evolved over ages and tend to differ from one region to another, their leitmotiv has always been the same: rebirth. The first to welcome the New Year are the people of Kiribati and Tokelau, a dependent territory of New Zealand. Poles will start the countdown as many as 13 hours after them. 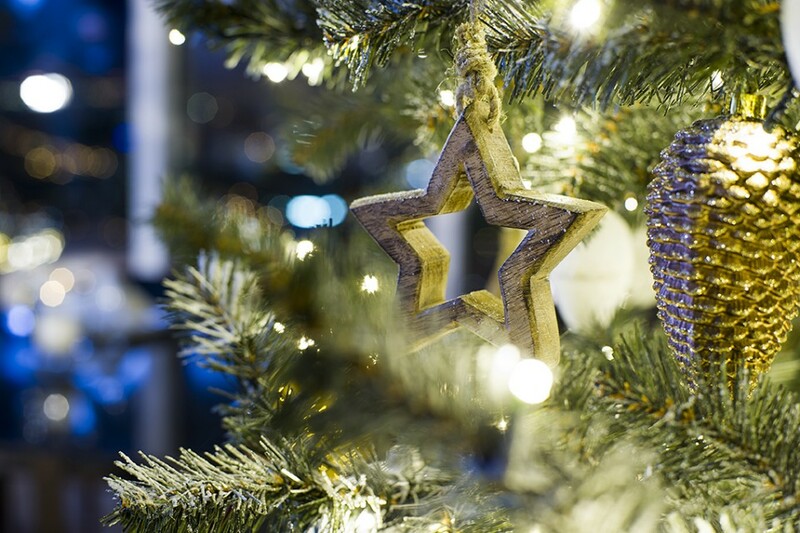 In late November and early December cities around the world immerse themselves in fairy tale scenery. Even if the streets are not covered in white or the landscape does not bring winter to mind, myriads of coloured lights begin to shine, conjuring up fancy holiday shapes. For many years Warsaw has emanated a sense of enchantment during the holiday season – the capital of Poland looks great this year too. Cities, fantastic and adored by tourists, are usually discovered in two ways. One is to flow with the city’s “bloodstream” of streets, savour the local dishes, visit museums and restaurants. The other way is to forget the details and focus on the big picture. This is about looking at the city from above, from different vantage points, towers, observation decks or hills. Each big city has such spots, which attract throngs of cityscape lovers. 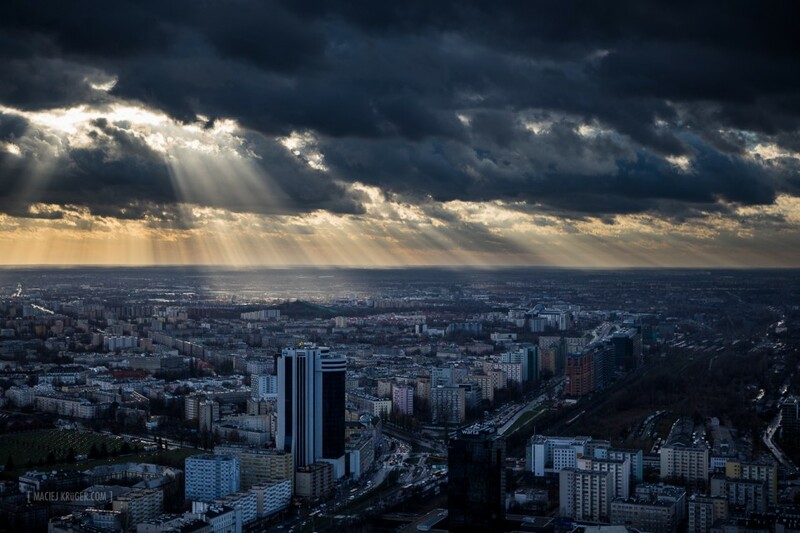 Without a doubt, each admirer of Warsaw has seen many pictures of the capital city taken from heights. 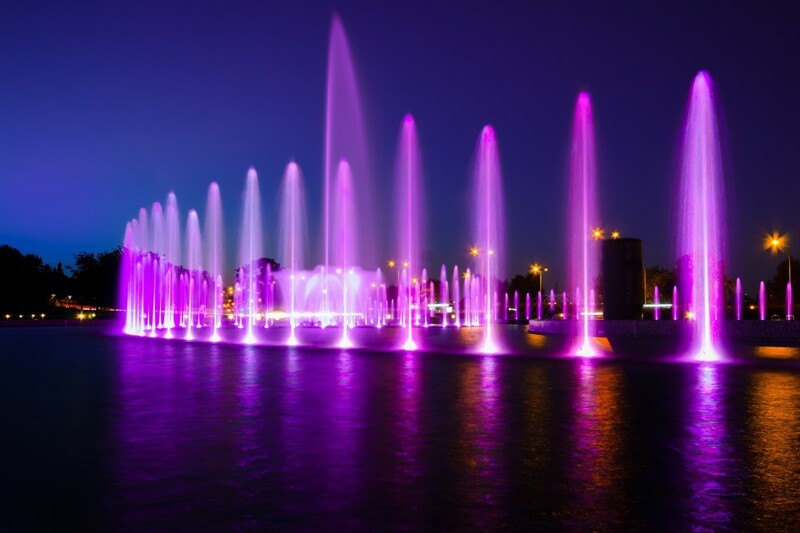 However, a look at the city with own eyes is an unmatched feeling, particularly after dark, when Warsaw is aglow with a myriad of colours. 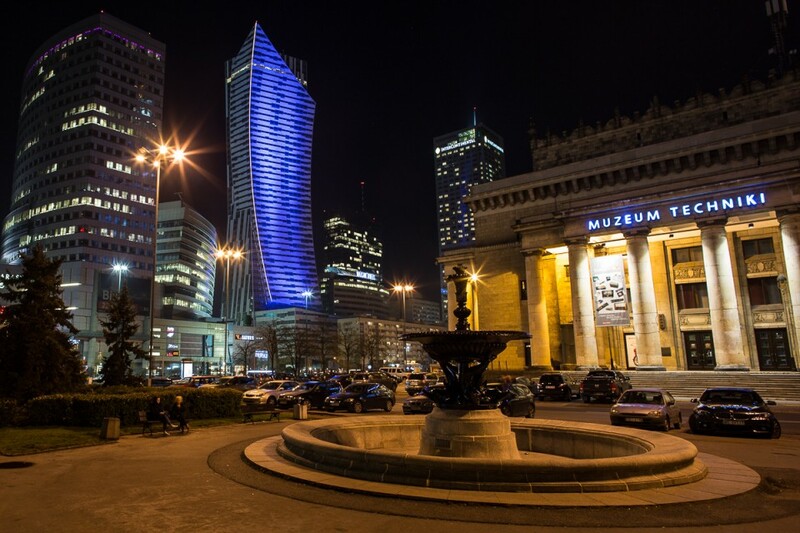 This year’s edition of the Skyscrapers Night organised by Nowa Warszawa (New Warsaw), held on 15 October, was even a greater success than last year as it attracted more than 45,000 fans of skyscrapers and magnificent industrial views. ZŁOTA 44 was more than happy to join in this year. 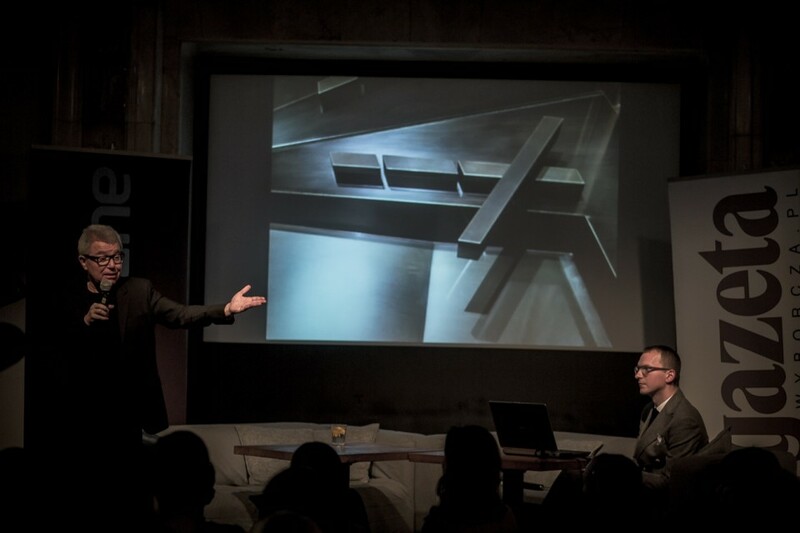 Presentation of the eight floor at ZŁOTA 44 was a remarkable and much-awaited event. After the long countdown and hard work, both by designers and contractors, the recreational zone has finally been unveiled, winning applause from the invited guests. However, on the evening of 26 October, it was not only the eight floor that mattered. Presentation of the relaxation zone was accompanied by an unusual, low-key charity initiative organised for the Omenaa Mensah foundation. Thanks to the funds raised, a new school will be built in Ghana already next year! “Youth. There is nothing more beautiful than youth” – wrote Witold Gombrowicz in Ivona, Princess of Burgundia. But what if youth coincides with wartime? Then it gives the strength to fight. 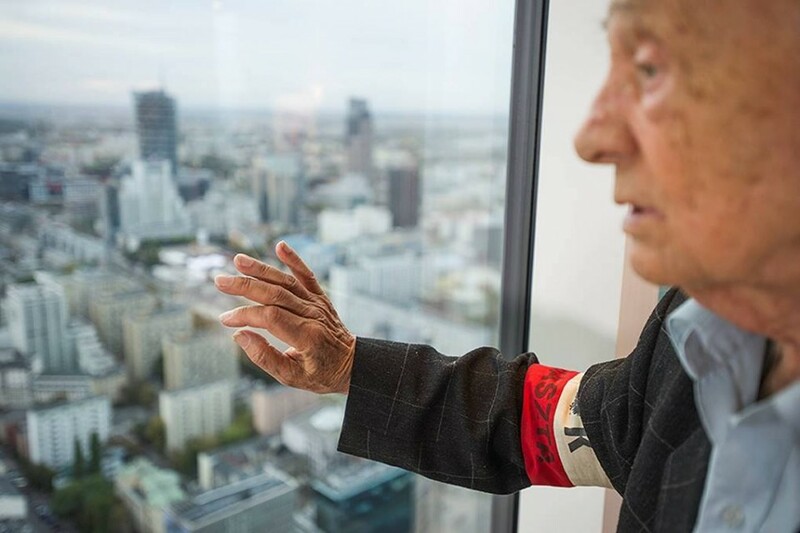 Recently an extraordinary man visited ZŁOTA 44: Mr Eugeniusz Tyrajski, nicknamed “Sęk” or “Genek”, a soldier of the Polish Underground State, member of the “Grey Ranks” and the Home Army, participant of the Warsaw Uprising, a native of Warsaw. He was 13 when the Second World War broke out. Skyscrapers kindle people’s imagination and help them climb to the sky, wake up 100 above the ground and marvel at distant horizons while having a lovely cup of coffee in the morning. Even though the biblical Babel tower was supposed to prove the point that going up is against all laws, human curiosity was a trigger that caused beautiful, towering structures to be erected, which rather than creating a concrete jungle effectively contribute to implementation of environmentally friendly solutions at the hearts of megacities. ZŁOTA 44 stands among those many skyscrapers that employ green technologies and remain close to nature. Many foreigners visiting Warsaw find it hard to believe that the city which was so heavily devastated during the war now – after 70 years – enjoys such a glamorous and glorious existence. It is not a coincidence that Warsaw is often called the Phoenix. 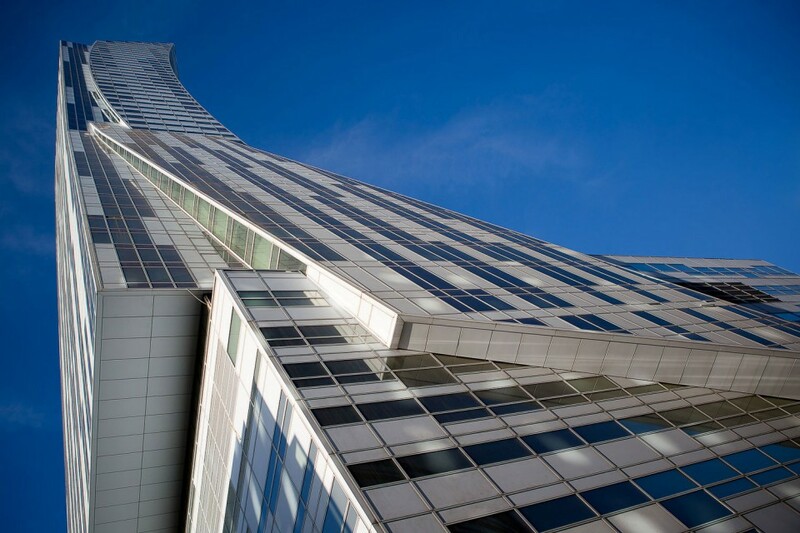 Likewise, it is no coincidence that Daniel Libeskind designed Złota 44 the way he did. Both the architecture of the capital and the form of Złota 44 are rooted in the tragic history of the city. 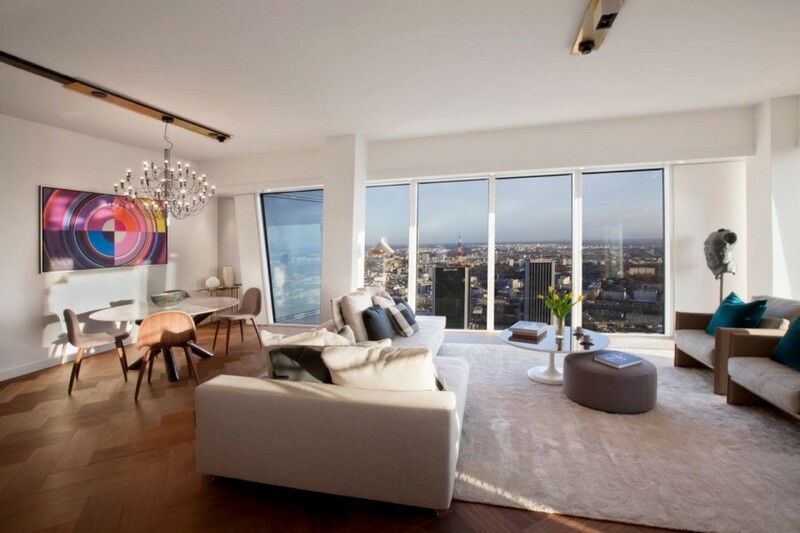 Several weeks ago, the captain of the Polish national football team, one of the best footballers in the world – Robert Lewandowski – purchased an apartment at ZŁOTA 44. The Bayern Munich player has been investing for years, focusing on start-ups and properties. 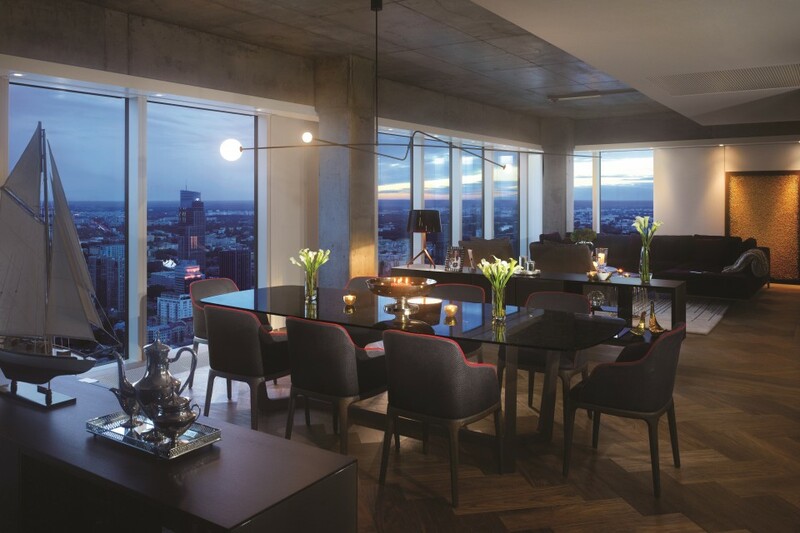 His decisions have always been supported by experts, so little wonder that Robert Lewandowski’s attention has been drawn to the apartments in the high-rise building designed by Daniel Libeskind. We encourage you to read the interview with the captain of the Polish national team, in which he speaks about Warsaw, the unique investments and obviously about ZŁOTA 44. “I like frames cut. Certain forms speak to me. I have a certain language of communication. 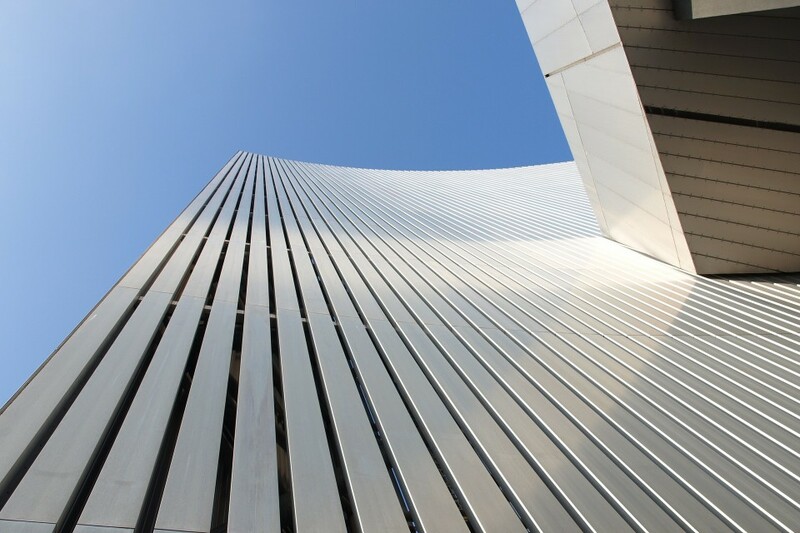 I lean toward forms that lead to a point and that try to make a point” – these are the words of none other than Daniel Libeskind. His projects are clear testament to those words as they are meaningful, recognisable and make a point. 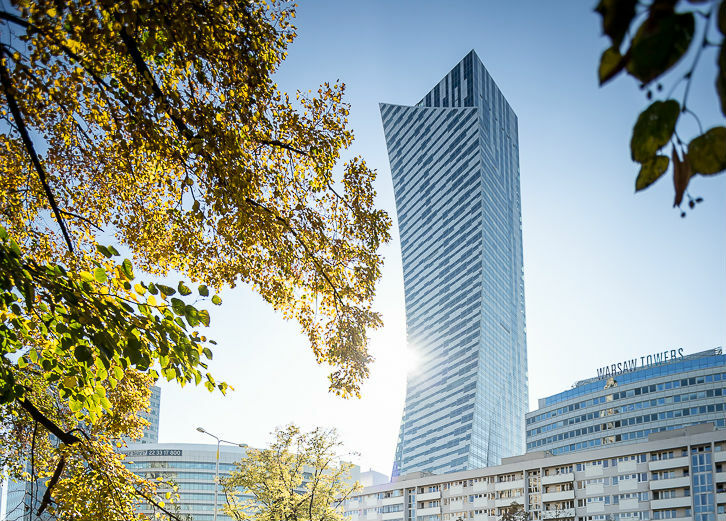 Among the outstanding examples of buildings created by Studio Libeskind are such conspicuous projects as the Jewish Museum in Berlin, Imperial War Museum in Manchester, World Trade Center master plan and last but not least ZŁOTA 44. It is worth having a look at selected projects that are still under way and are expected to be completed in the upcoming years. Benjamin Franklin said that an investment in knowledge pays the best interest. Surely, Robert Lewandowski must be well-aware of this because – as he says – he tries to learn as much as he can about the world of business, expands his knowledge about investment trends and consults his investments with experts. 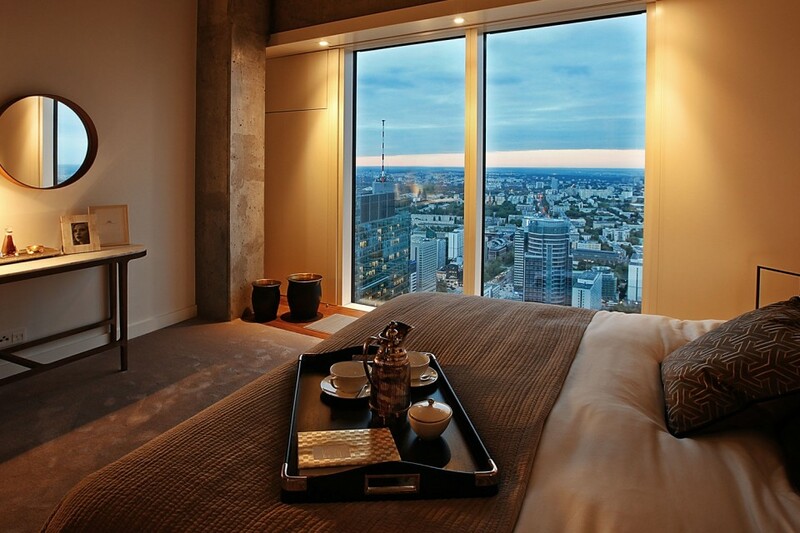 One of his latest business decisions was to buy an apartment in the residential tower at ZŁOTA 44. Although – as Polish poet Juliusz Słowacki said – there is sun is in every man, nearly everyone longs to see a bright sun in the sky. 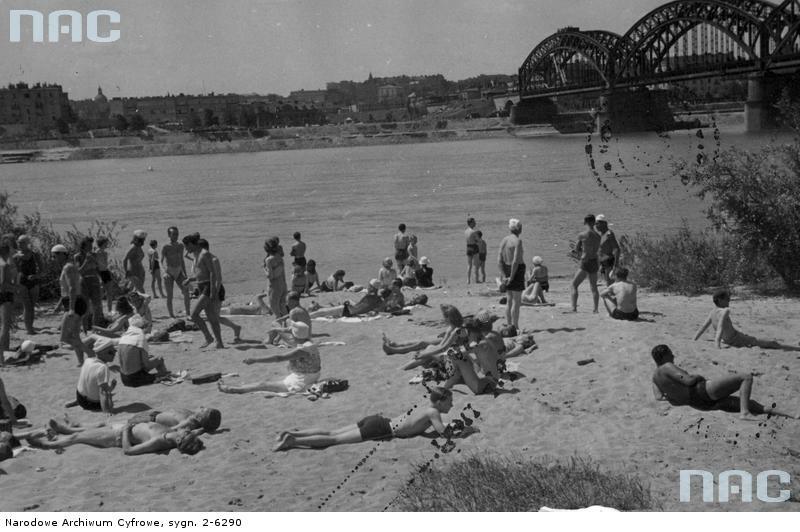 Summer days tend to connote leisure outside the city, but Varsovians increasingly often find that summer in the city may be appealing as well. 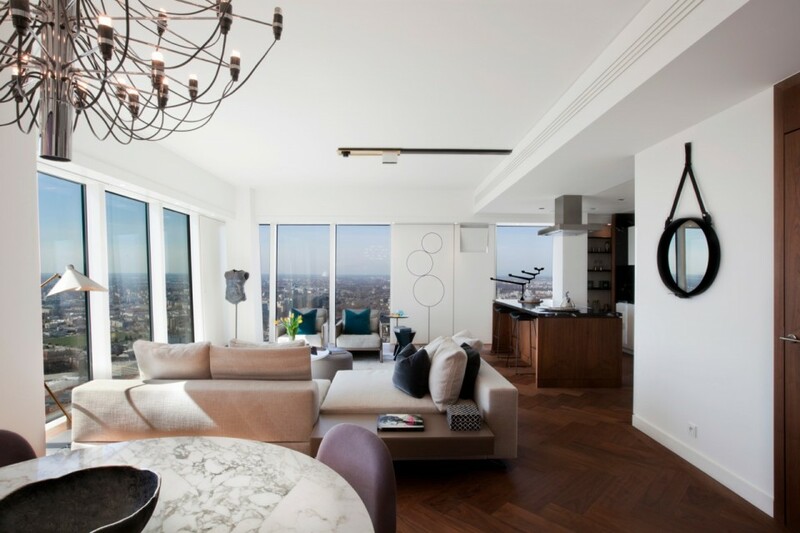 As the number of prestigious addresses is growing, the notion of a luxurious apartment is being redefined at a fast pace. 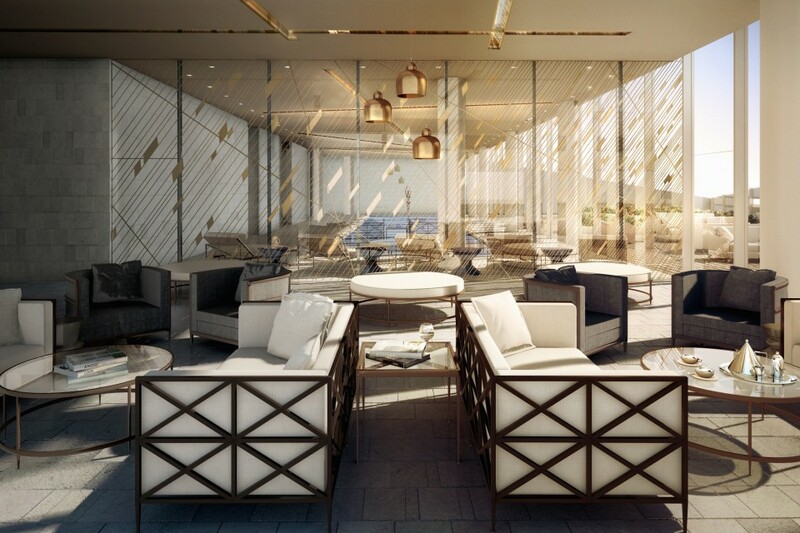 Even though not so long ago merely the presence of a concierge could connote luxury, now this luxury is also measured by the number and quality of exclusive amenities. Sir Arthur Charles Clarke, a British science fiction writer, once said that any sufficiently advanced technology is indistinguishable from magic. If we look at modern buildings – be it office or apartment buildings – we may be tempted to conclude that magical power has begun to work its way into our daily lives. 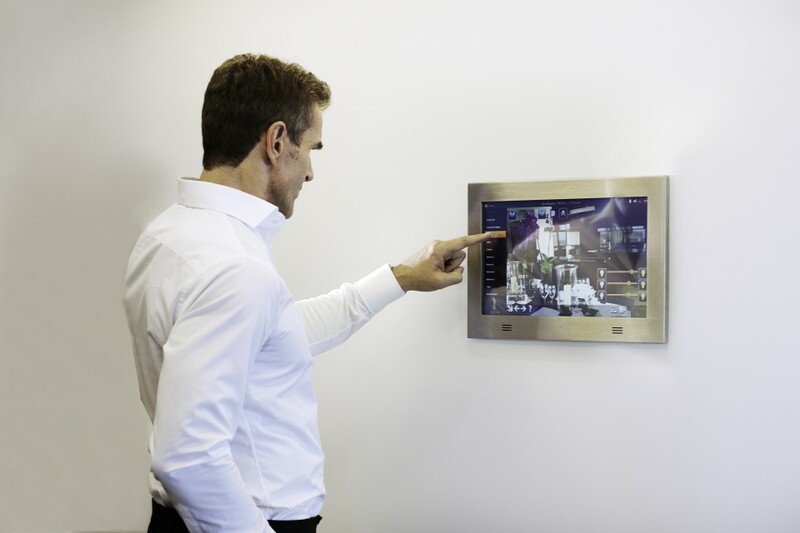 A lobby – particularly in high-class buildings – plays an invaluable role. This is where guests or residents cross their paths. It is a focal point of the building’s traffic and last but not least this is where visitors get their very first, important impression of the whole building. When properly arranged, it will help the visitor embrace the spirit of the place. Not accidentally, another name for the lobby – foyer – means a place where fire is maintained. It is here that a spark jumps between us and the building and chemistry is born. Cities are said to be at the opposite end of the spectrum from the natural world – they tend to connote scarcity or indeed absence of nature. Intuitively, most people would agree with this opinion, but a look at the statistics is enough to realise that facts are different. 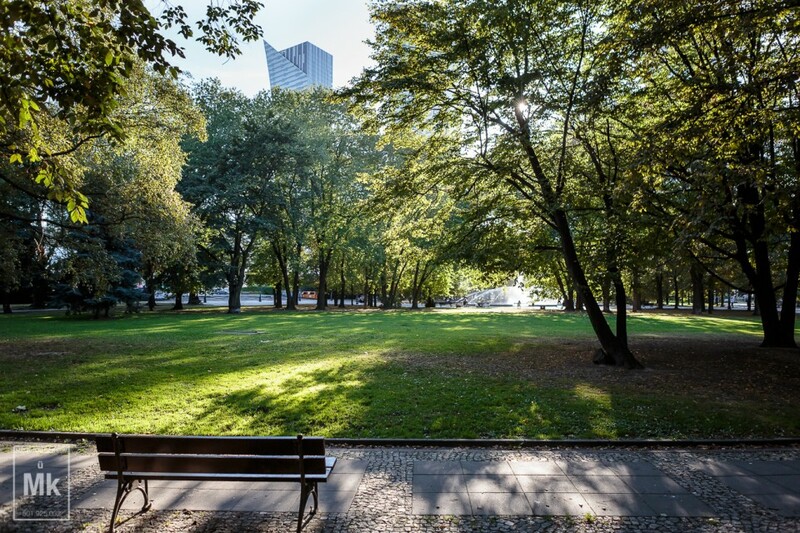 If green areas are the lungs of the city, the capital definitely has something to breathe with – Warsaw’s green space covers almost 20 thousand hectares. To an average person, Cannes brings to mind the Côte d’Azur and the famous film festival. However, representatives of the real estate sector may think otherwise as to them Cannes is a venue for annual business meetings. This is where the renowned MIPIM international real estate show takes place, with a myriad of prestigious events and discussions with outstanding figures from the world of business. Anyone with even a passing interest in architecture can name at least a few of Daniel Libeskind’s major designs, which include ZŁOTA 44, the Jewish Museum in Berlin, the Imperial War Museum North in Trafford and the One World Trade Center in New York City, but only a few are aware that the famous architect has helped expand the definition of design in applied arts. ZŁOTA 44 is a symbol of comfort, an icon of sophisticated design and a paragon of amenities that make daily life easier. Throughout its history, Warsaw has had many such symbols, and their definition evolved with changing eras, fashions and historical twists. Here are just a few examples of lavishly decorated or modern Warsaw buildings whose fame extended beyond Poland. More than two centuries ago Scottish thinker and philosopher Adam Smith believed that our love begins at our own house. Smith was a member of the Royal Society of Arts, which has counted among its members such luminaries as Charles Dickens, Benjamin Franklin, Robert Baden-Powell and Stephen Hawking. 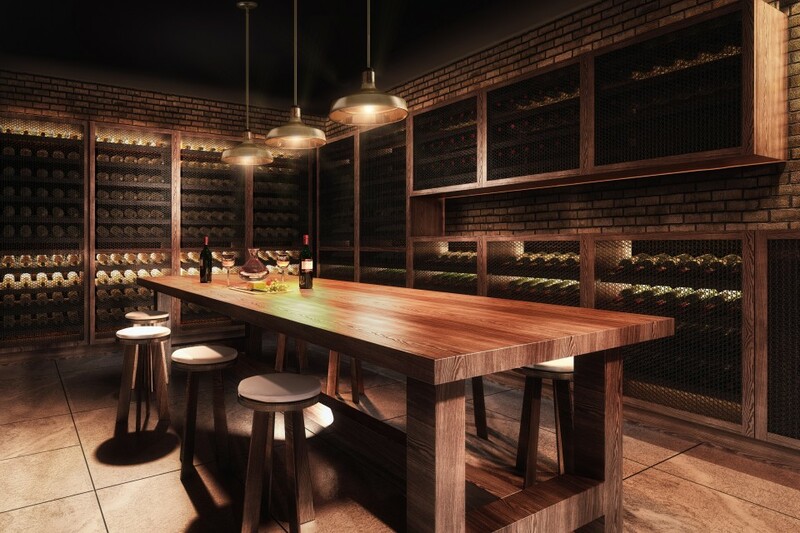 One of the recipients the Society’s scholarships is Jonathan Clarke, Director of Interiors at the multiple-award winning studio Woods Bagot (est. 1869). Clarke, who is principal interior designer for ZŁOTA 44, knows perfectly well that it is not only love that begins at your own house, but also safety, sense of uniqueness and infinite understanding. The world ‘luxury apartment building’ usually evokes associations of uniqueness such as prime location, its attendant prestige, stellar architecture and breathtaking views. 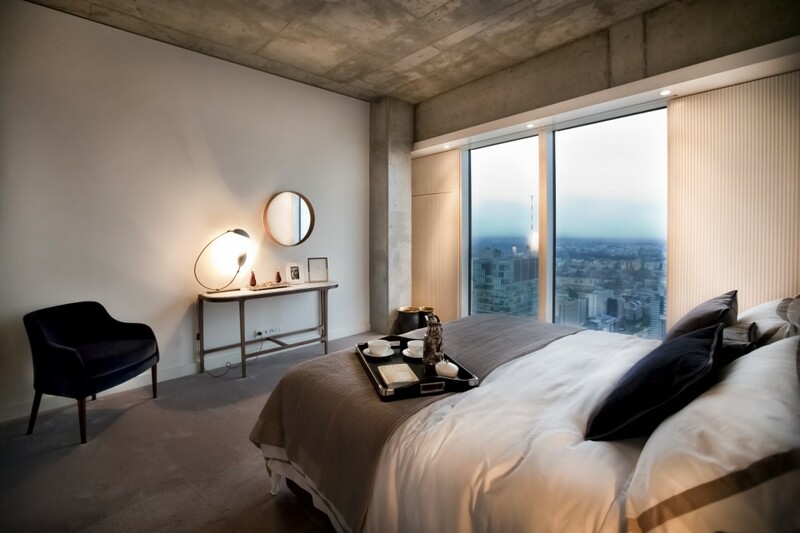 But the true luxury should envelop us as we step into the apartments, taking in and savoring their decor. 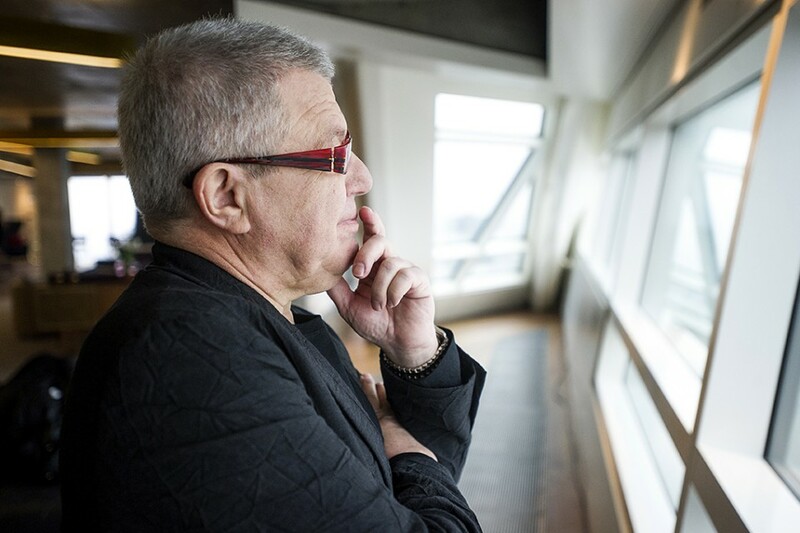 The name Daniel Libeskind immediately brings to mind his signature designs: Berlin’s Jewish Museum, One World Trade Center in New York or ZŁOTA 44 in Warsaw. But it’s a lesser known fact that the world-famous architect of Polish extraction has also designed unique objects such as door handles, lamps and armchairs. The past week has been very exciting for us. 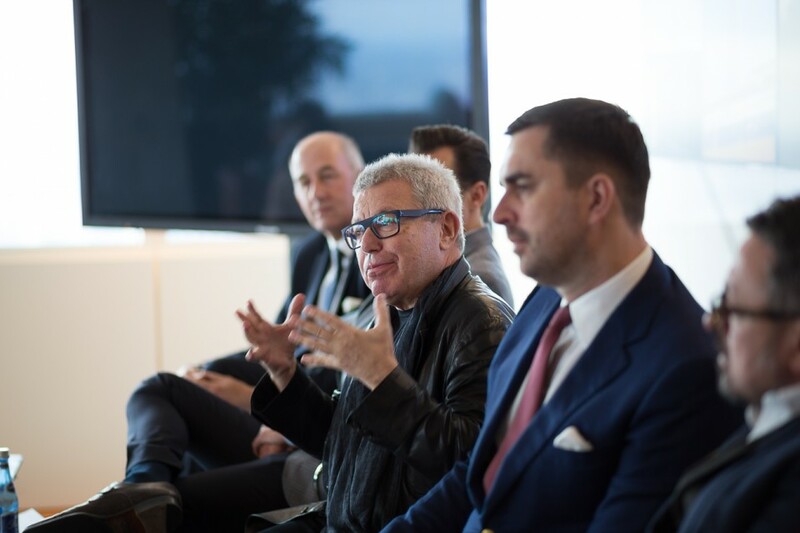 The world-famous architect and ZŁOTA 44 designer Daniel Libeskind, specially invited by BBI Development and US fund Amstar, visited Poland after an eight-year absence to attend the launch of the international campaign for ZŁOTA 44. There is an old French saying which goes: “Show me how you live, and I’ll tell you who you are”. Likewise, the style icon Coco Chanel used to say: “Your home’s interior is a reflection of your soul”. The interiors we live in reveal a lot about us. By choosing the right furniture and accessories we can express our tastes, passions and the preferred lifestyle without having to utter a single word to our guests. “Unless there is war, property is the most secure investment of all” – as entrepreneurs used to say back in the 30s. Nowadays, even though the range of investment opportunities has expanded significantly, specialists from the financial sector point out that investing in real estate, particularly in the premium segment, remains as one of the most secure and profitable forms of investment available in the market. The late 19th and the early 20th century was a time of momentous change – including in art. Artists rejected the established patterns and prevailing aesthetic principles and began their search for new means of expression. Avant-garde artistic trends such as cubism, expressionism, futurism and constructivism came to being and influenced the art of the whole century. Architecture, as an art of design, engaged in a constant dialogue with the changing reality, underwent a complete metamorphosis. In their quest for new solutions, architects were inspired by the materials that had never been used before in such an avant-garde context. The art’s fascination with new technology also had a tremendous impact on architecture. Urban green space is one of the highest values of Warsaw. With its nearly 80 parks, cosy green squares and home gardens Warsaw is among the greenest European capitals, next to Stockholm and Copenhagen. The Łazienki Park complex, the Ujazdów Park, the Krasińscy Park or the Mokotów Fields are only some of the popular green enclaves in the very heart of the city. 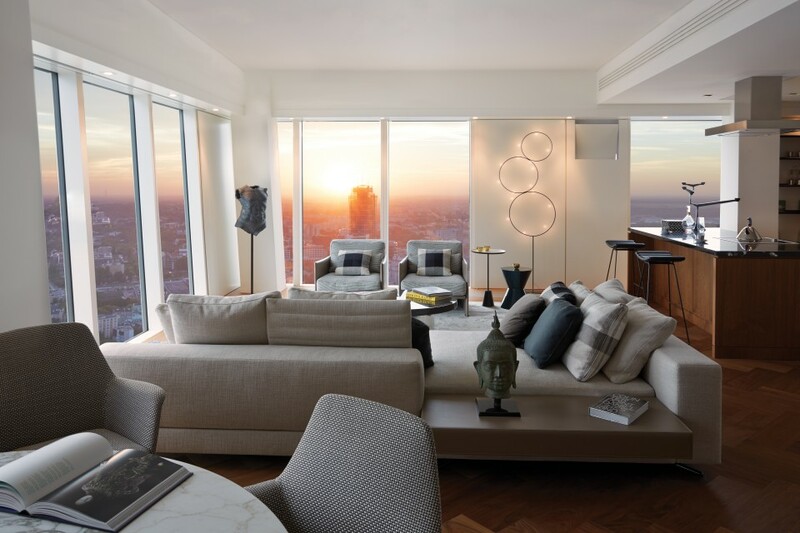 In addition to the comfy interiors finished with the highest quality materials, the world’s most luxurious residential buildings offer unique amenities to their residents. Professional concierge service, pool access, fitness centre and other attractive features in the common area of the building are characteristic only of the residential developments from the top premium segment. As a reflection of luxurious lifestyle, ZŁOTA 44 offers its future residents an above-average range of amenities, which are particularly appealing in summertime. 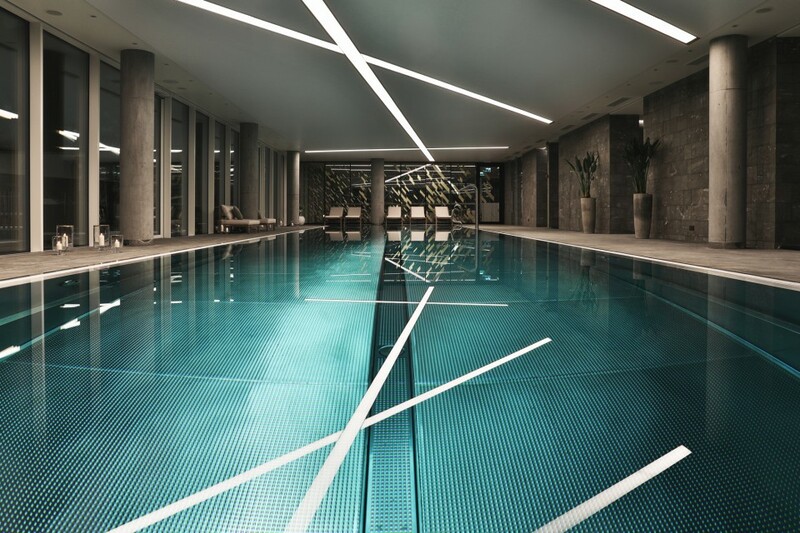 ZŁOTA 44 is the only residential tower in Poland to boast a full-size swimming pool. The 25-metre pool is located on the eight floor of the building and is one of the amenities of the 1400m2 leisure space available solely to the residents. On the same floor, there is also a sunbathing terrace with a jacuzzi. Each moment spent there will be an opportunity for deep relaxation and enjoyment. 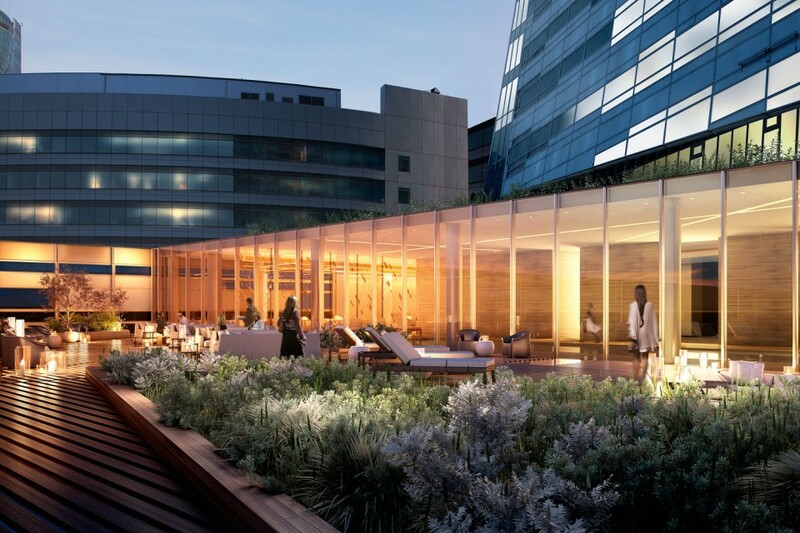 On particularly hot days, the residents of ZŁOTA 44 will be able to use the amenities available in the air-conditioned interiors of the apartment building – for example, the screening room equipped with a state-of-the-art golf simulator. It should be noted that such simulators are used by professional golf players in their daily practice. In large cities summer can be uncomfortably hot – on warm days, parks and green squares attract plenty of city residents. When the air temperature climbs above 30°C, it is relaxation near water that can provide the greatest respite from heat. KPMG in Poland, in collaboration with REAS, published a report titled “Luxury Property Market in Poland”. The report reveals that the quality of life of Poles is improving every year, with the number of potential buyers of premium apartments growing. The facade is a vitally important part of a building, often revealing much about its interior. Regardless of the concept, the facade should reflect the building’s functions. British philosopher Roger Scruton said that the facade is the face of the building, something that stands before us and contains its whole expression. 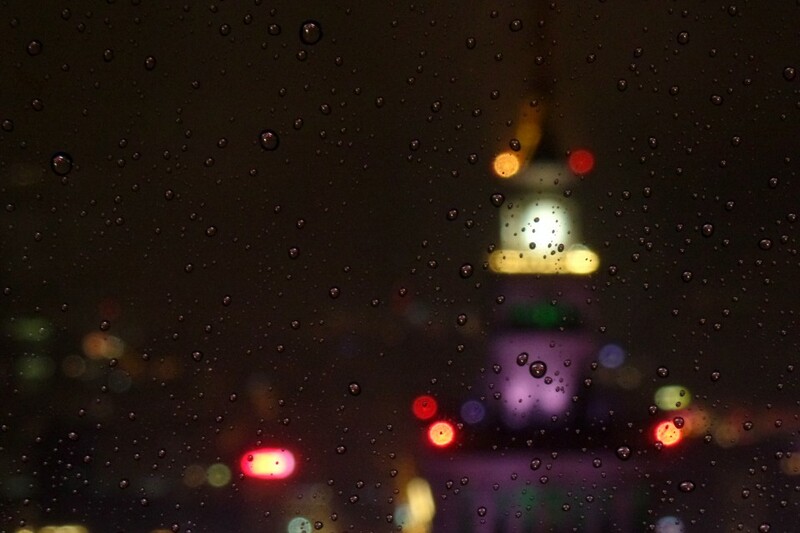 We are pleased to inform you that this Saturday, 23 May, Skyscrapers Night will be held in Warsaw. 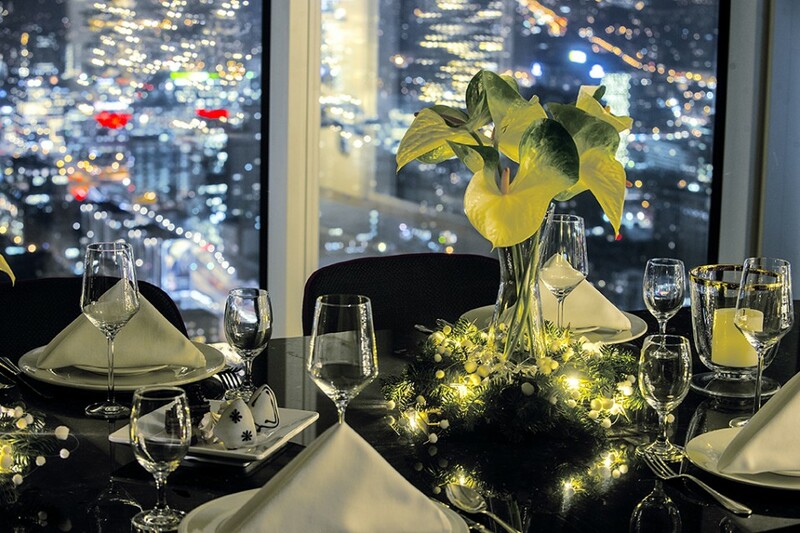 This is a unique opportunity to see the night panorama of Warsaw from the upper floors of the Warsaw’s skyscrapers. 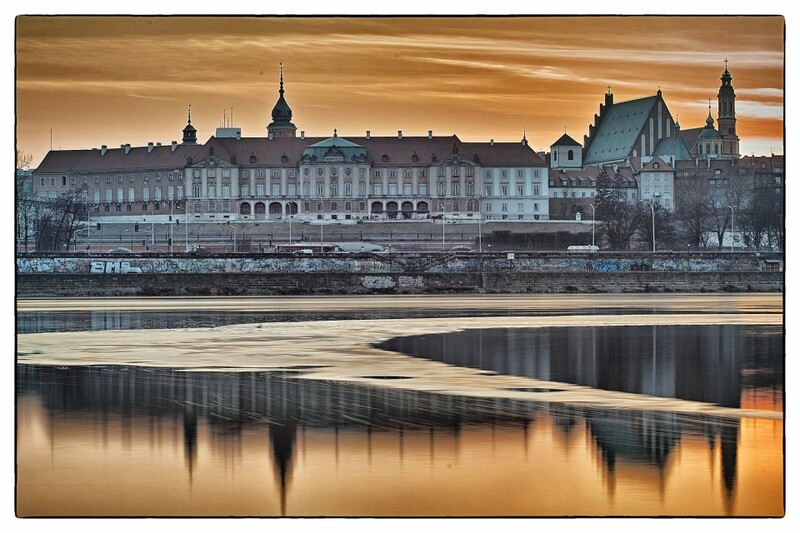 NowaWarszawa.pl, the organizer of the event, is a portal dedicated to the architecture of Warsaw. Developing apartment buildings in the heart of the city is an increasing trend observed in the largest metropolitan areas of the world. Albeit the concept of a house with a garden that was much in vogue some time ago is still alive with some aficionados, property buyers are more and more attracted by practical aspects of a residential project, including its location, transport potential and proximity to shops and entertainment. 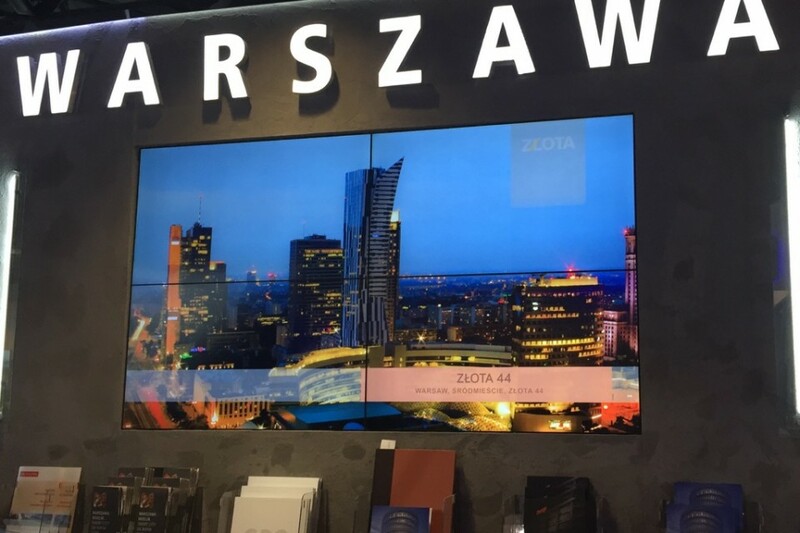 BBI Development S.A. and US-based private equity fund Amstar officially launched sales of apartments in ZŁOTA 44, the iconic luxury residential tower located in central Warsaw. 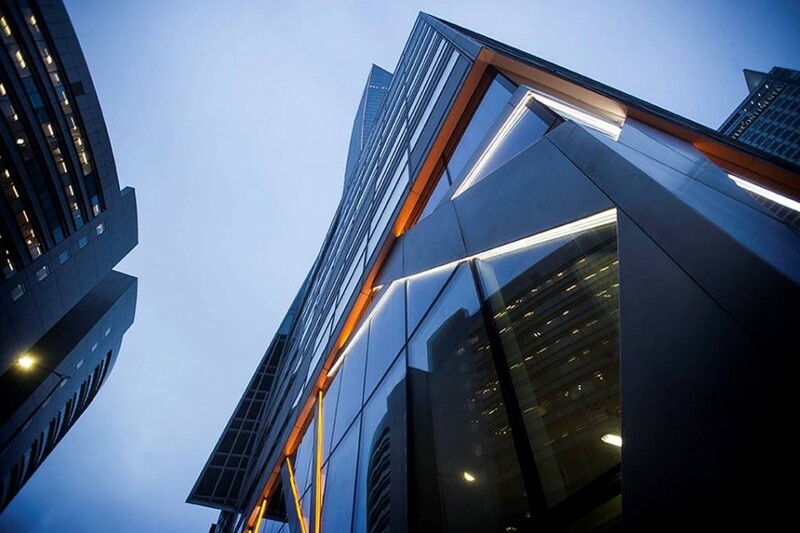 The building’s facade glowed with new life to highlight its highly anticipated return to the luxury residential market. We present small photo gallery of illumination. The discussion around the facade of Złota 44 is dominated by arguments relating to its look. 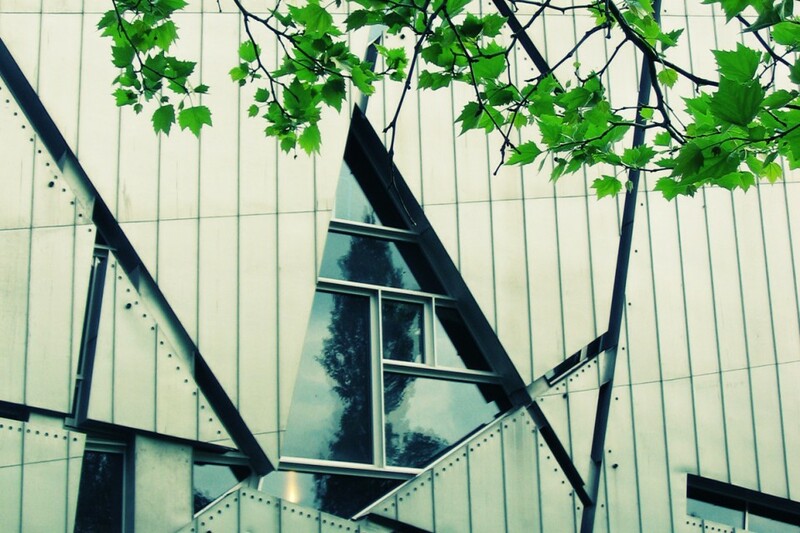 The topic of the facade also crops up in the context of the owners’ alleged tinkering with Daniel Libeskind’s original design. Recently, this claim has been rebutted by the architect himself, who, speaking at Cannes, said that when designing the building he intended to make a break with the traditional high-rise look and provide maximum privacy. Złota’s facade contributes to the building’s unique look and helps create intimate living spaces inside the building. On 11-15 March, MIPIM international property show was held in Cannes. 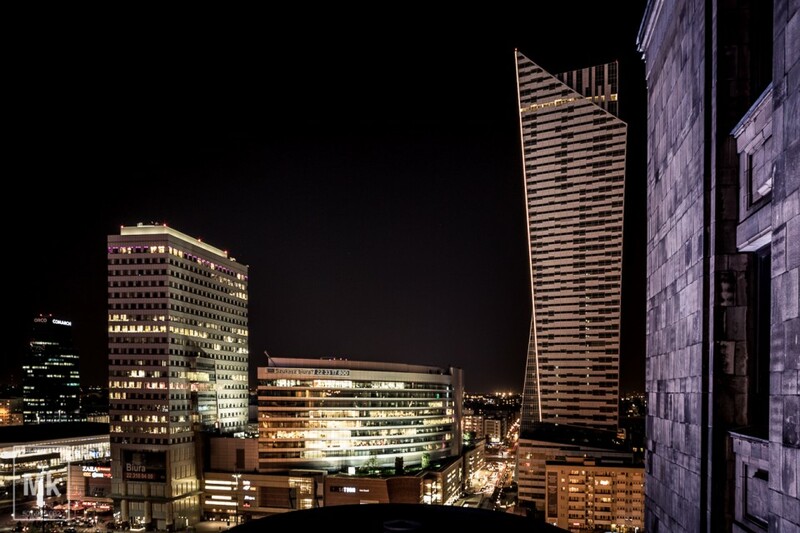 Złota 44 was obviously there, promoted by no other than Daniel Libeskind. The event was an opportunity to officially announce relaunch of apartment sales in the residential tower. 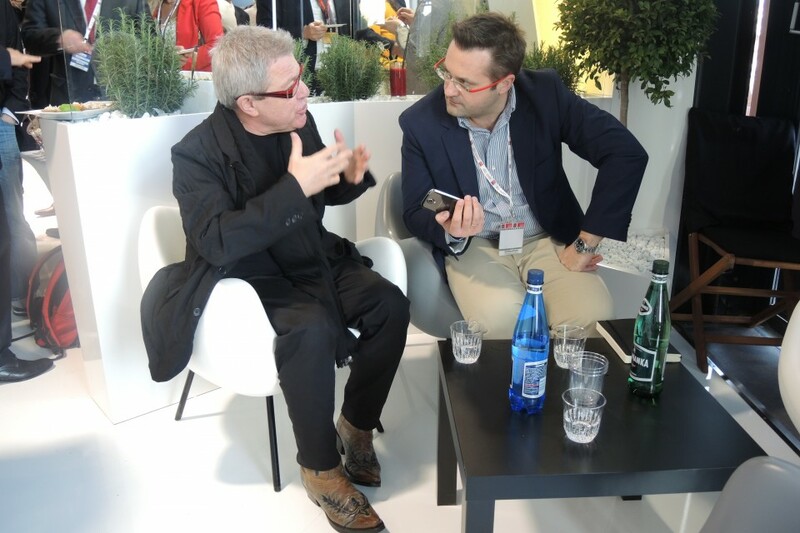 Daniel Libeskind is one of the most prominent modern architects in the world. 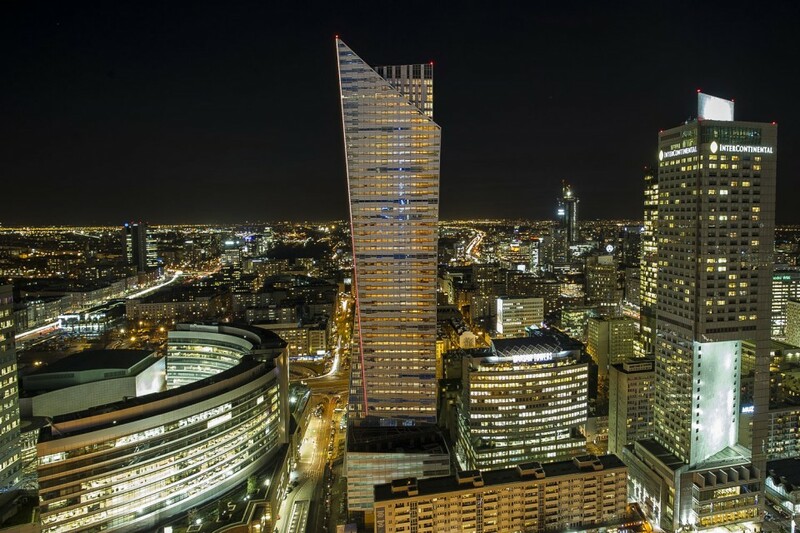 His outstanding projects can be admired in such cities as Berlin, Manchester, San Francisco and, more recently, in Warsaw at 44 Złota Street. This is an address where EU’s tallest residential tower is being developed, in an expressive style that is so characteristic of Libeskind designs. 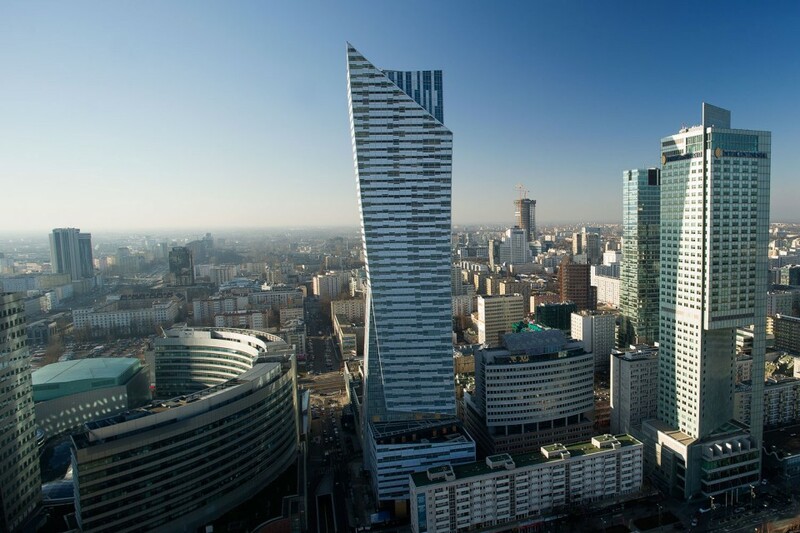 Złota 44 in Warsaw is an address that is familiar not only to Warsaw residents, but also to any person interested in real estate business, aficionados of luxury and connoisseurs of modern architecture in Poland and even in Europe. It is here, at the throbbing heart of the city, that EU’s tallest residential tower is being developed, designed by the world-famous architect Daniel Libeskind.